The Battenkill is a solid click-and-pawl designed by Orvis. It is one of their entry-level models coming in at about $100 - $150 but don't let the price tag fool you, Orvis is known for their quality. I currently own a Battenkill II (WT 3-5) and Battenkill IV (WT 7-9). Both are great reels and get the job done. The Battenkill II is a light reel weighing in at 2.9oz. This reel has been the best entry-level reel that I've had the pleasure of purchasing. I'm a retro kind of guy therefore click-and-pawl reels are the only reels for me unless I am targeting powerful drag running species. I have my Battenkill II paired with my Echo 2WT that I primarily use for small streams and easy-to-access lakes. The Battenkill II has a classic look with a modern design. The spool is pretty narrow which helps manage line however it comes at the cost of limited backing which isn't really needed for a 2WT. The heavy duty bar-stock aluminum feels nice and solid. The handle is easy to hold onto and use. 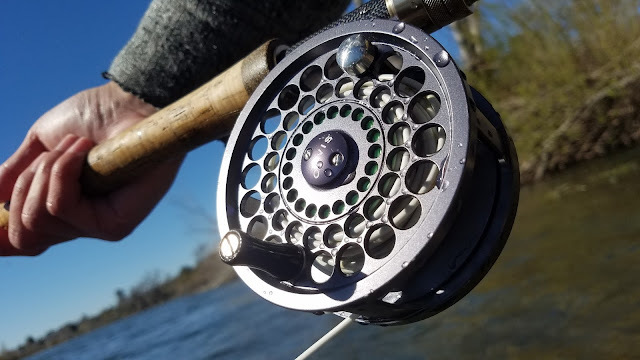 This reel is light weight and a great match for light rods. The Battenkill II is a great sounding reel. I don't often get to hear it because of the fish I target with this reel but when I do it's always a welcoming sound. 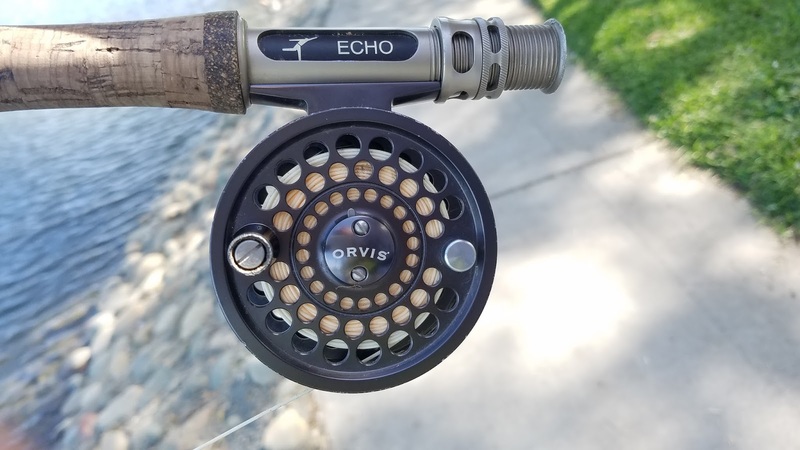 Though not as loud as my other click-and-pawls this reel has a great lower pitch click. The Battenkill II has two drag settings that you can change by opening the spool and flipping the adjustment square. The default setting was perfectly adjusted to prevent my line from backlashing. I haven't notice any real difference between the two drag settings. The Battenkill II is a great reel for those who are looking for a solid entry-level click-and-pawl reel. I've never felt the need for an expensive drag system on a rod lighter than a 5WT therefore I will always recommend a click-and-pawl reel. In addition to having a great drag system, you just can't beat that sound. The Battenkill IV is one of the few classic plated spey click-and-pawl reels that I've found coming in less than $200. I replaced my Redington Surge reel on my 7WT switch with the Battenkill IV and I will continue to move forward to getting clickers for my double-handed rods. Although not as high quality has some of the more famous spey click-and-pawl brands such as Abel and Hardy, the Orvis Battenkill IV gives you a taste of that classic spey click experience at an affordable price. The Battenkill IV is reminiscent of the old school plated spey click-and-pawls anglers used back in the old days. The width of the spool gives your plenty of room for enough backing and heavy spey line. This reel feels very heavy weighing in at 8.5oz. This reel sounds a bit like a rattling tin can. It has a high pitch "ting!" that can be heard from across the river. Although it can be distracting when pulling out line to cast, it sounds great when there is a strong fish pulling on the other end. The drag is solid. 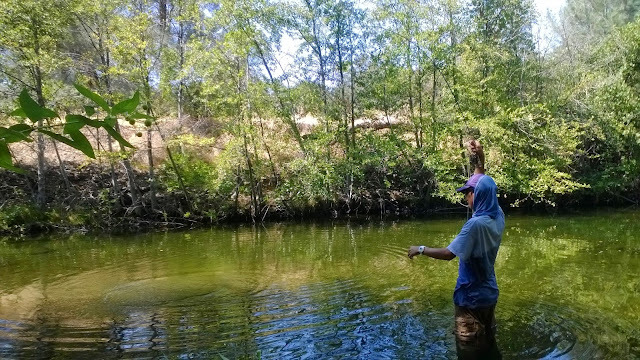 This reel has no problem controlling strong andramous fish. The Battenkill IV gives you that classic spey click-and-pawl experience at an affordable price. Although nowhere near the quality of Hardy or Abel reels this reel does a fine job keeping the fish in your control. It looks great but the sound of its click can be a bit distracting due to its pitch and loudness. I would only recommend getting this reel for a double-handed rod because it is way too heavy to be casting single-handed.